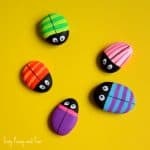 Ready to go rock hunting? Why not leave some rocks of your own while you are at it. 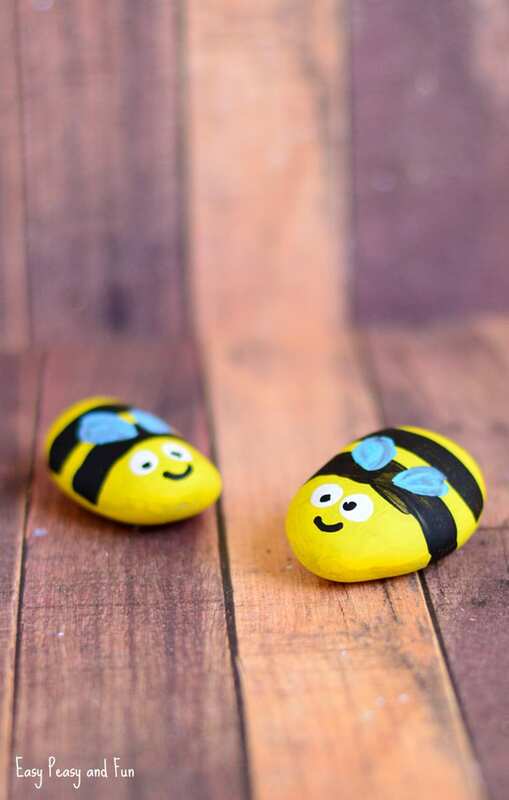 We made a bunch of bee painted rocks and can’t wait to leave them at secret places all around our town. 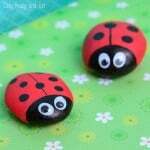 Painting rocks has been one of my favorite artsy activities since forever. I was growing up near a river so we always had an abundance of river stones. We often went stone hunting as kids (hunting for regular rocks that is), collecting just the right rocks for the project we had in mind for that particular day. 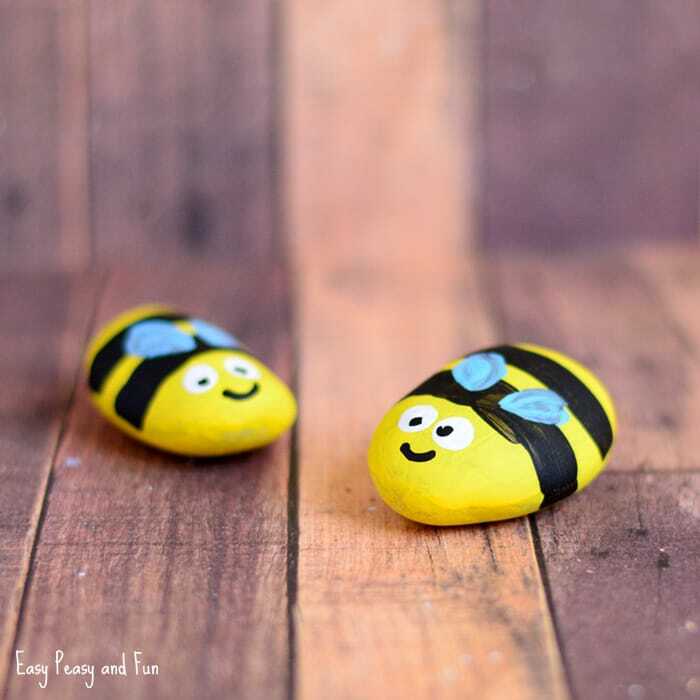 It could be painting rocks and turning them into works of art, using them as currency in our pretend play or even as building material used for pavement for the miniature city we were building for bugs and other nature inhabitants. 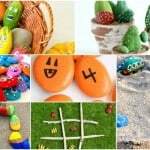 Rocks are so versatile! 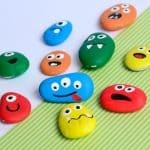 I am supper happy that painting rocks is still a thing that kids are excited about. 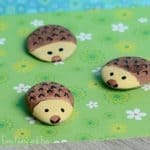 It really is such an inexpensive material to use when creating, even if you don’t live near a river (craft stores have them). 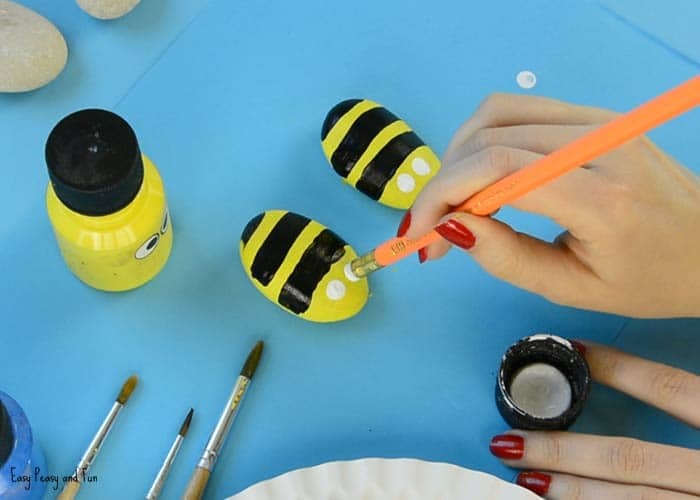 Ready to make a buzzing bee? Let’s make one or a dozen. 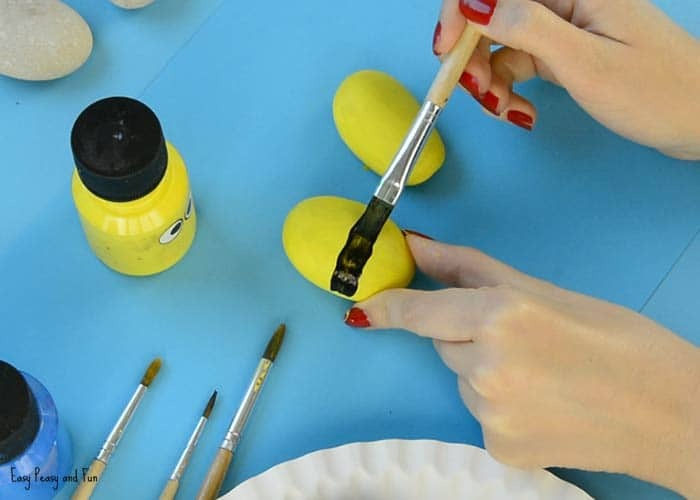 Paint the rocks yellow. Allow the paint to dry completely before you continue. 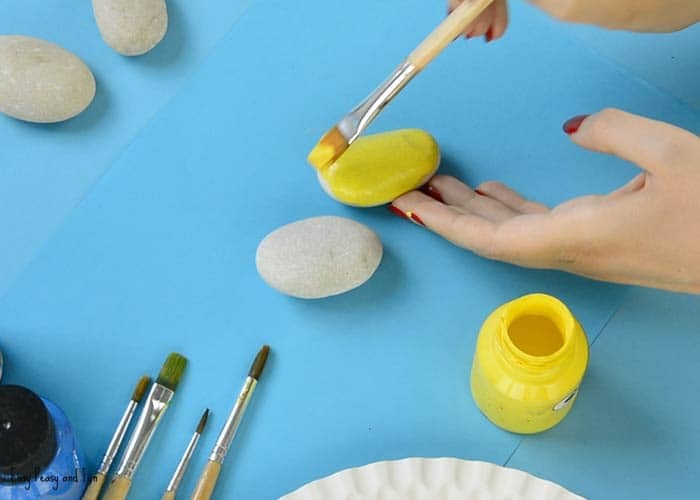 Depending on the rock and paint you might need to do more than just one layer of yellow color. 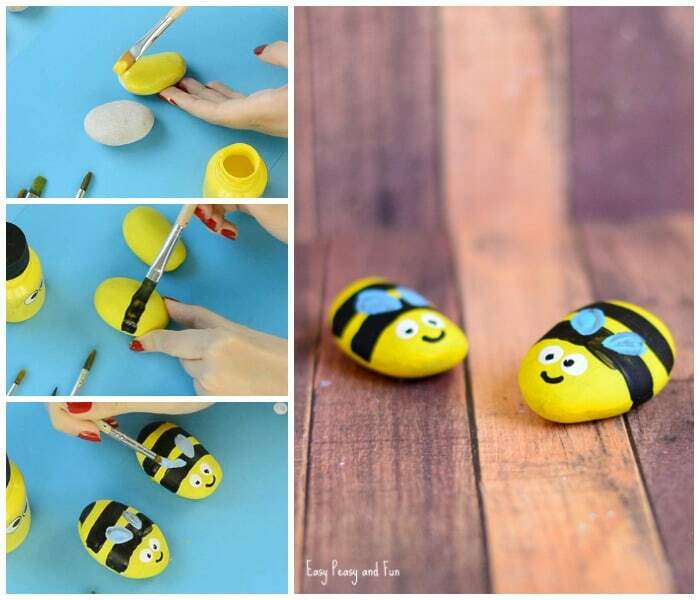 If you have darker rocks a layer of white paint first might help too. 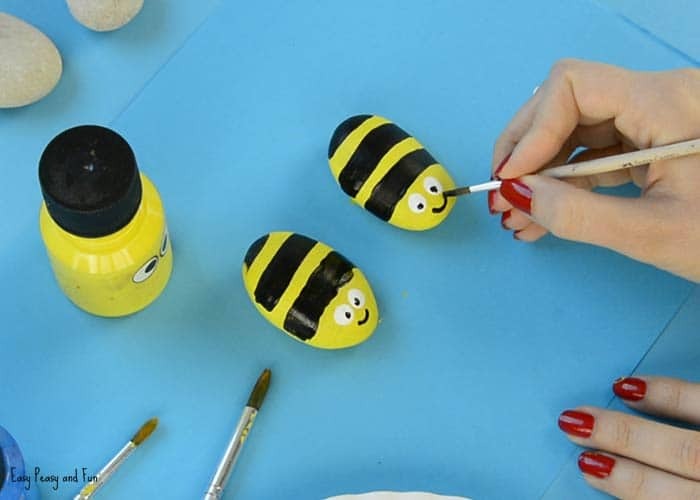 Once the yellow paint is all dry, draw black stripes on the rock. Draw two white circles for the eyes. 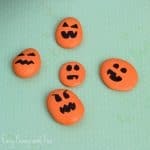 We dipped the eraser into white paint to make the circles – easy peasy. Draw mouth and black spots for eyes. Let the paint dry completely and you are ready to go. Acrylic paints should be water proof so you are good to go. 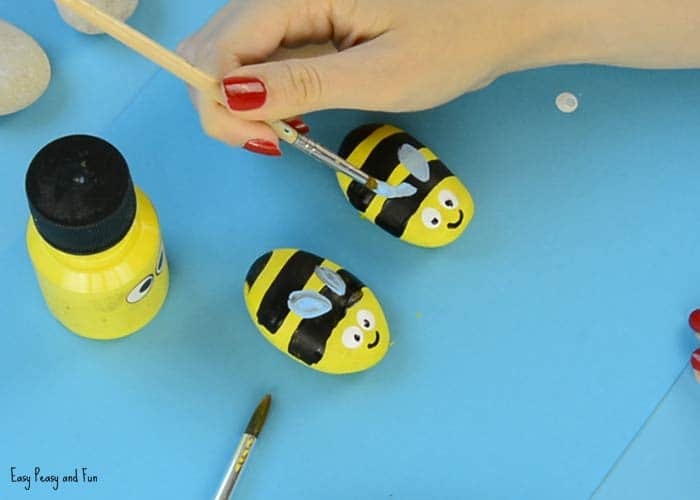 If you are not using acrylic paints or if you just want to add a bit of shine you can also apply a layer of glossy varnish.